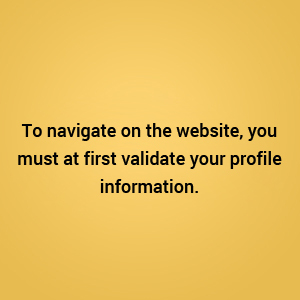 By using the Opti-Guide Web site, you signify your agreement to the all terms and conditions herein. If you do not agree to these terms and conditions, do not use the Opti-Guide Web site. Breton Communications Inc. is committed to maintaining the privacy of your personal information and to protecting such information from misuse and unauthorized access. Breton Communications may use data information to conduct research, surveys or engage in other targeted marketing purposes. Please note that your usage of Opti-Guide’s electronic publication is recorded. Breton Communications shall be free to use this information for statistical evaluations and to ensure uninterrupted proper operation of this service. Breton Communications may select companies to occasionally send information or special offerings about products or services that are related to its own services. Except for that circumstance, Breton Communications will not disclose any of your personal information to unaffiliated third parties. This site may contain links to other Web sites (linked sites). The linked sites are not under the control of Breton Communications and Breton Communications is not responsible for the contents of any linked site, including, without limitation, any link contained on a linked site, or any changes or updates to a linked site. Breton Communications is providing linked sites to you only as a convenience, and the inclusion of such linked sites is not an endorsement by Breton Communications in favour of any company offering Internet services, products or services. Breton Communications is not responsible for the data collection and use practices of merchants and other companies to which the Opti-Guide Web site may link. By using the Opti-Guide Web site, you signify your agreement to the terms and conditions of this confidentiality policy. If you do not agree to these terms and conditions, please do not disclose any personal information through the Opti-Guide Web site. The Opti-Guide Web site and the information contained in reference herein are for informational purposes only. Any reproduction or copying of any material or design elements of this site is strictly prohibited, without the prior written consent of Breton Communications. Requests for permission to reproduce any information contained on this Web site should be addressed to Breton Communications, 4660, Montée Saint-Hubert, Saint-Hubert (QC), Canada, J3Y 1V1. Notwithstanding the above, Breton Communications authorizes you to make one electronic or paper copy of the information posted on any page on this site, provided that the copy is used solely for non-commercial, personal purposes, and further provided that any such copy remains protected by all copyright, trademarks, service marks, and other content from this site to create or compile, directly or indirectly, a collection, compilation, database or directory without written permission of Breton Communications is prohibited. Whether the reproduction were permitted, the source must be written.